The Orphan King now rules Magnus, finding that keeping the mysterious fortress safe from the unknown enemies within might prove to be a harder task than that of taking the fortress in the first place. Nothing is as it seems and Thomas must choose which side, if any, will claim his allegiance. I put myself at a disadvantage by not reading the first book, which I will have to remedy;). I still found the story line of this novel fascinating and hard to put down! Perfect for young and old fans of history or fantasy style fiction! After Mia Quinn looses her husband in a mysterious, tragic car accident, she is forced to return to work to care for three two kids. Juggling her hectic work schedule and working to do her best at filling parenting roles get a even more crazy when a fellow county prosecutor is shot at her home. While on the phone with Mia. Just four years before, another county prosecutor was killed in the same manner, so Mia and the detective she is forced to work with seek to discover if the two cases are related, as most suspect. I found A Matter of Trust to be an excellent start to this new series! I like that there was more going on in the story line than just the one case. The novel also dealt with a big issue in society today: bullying. The story makes you think about how one looks at people who are different and how we should learn to appreciate one another's differences. Moving to Seattle from LA just might be the best thing Shelly Graham has done in a long time. Even though her move back home to her parents seems to be the worse thing that could happen at the time, it brings bake memories of growing up with her best friend, Jonathan. 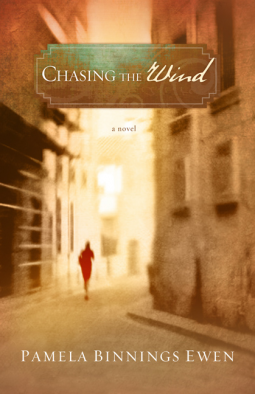 After decided that she would like to re-connect with the only man who ever held her heart, circumstances that could only have been brought about by God send Shelly and her sister to Europe, where they learn that Jonathan now lives and works. Thinking that they will have a second chance, Shelly builds all kinds of dreams about their future together only to find that he is engaged to a woman he works with. When her world falls apart is when God can truly work with Shelly. Received from Waterbrook Multnomah for my honest review. When Megan Cole's father passes away, she must leave her simple life in Tulsa to move to her father's ranch and take over Cole Oil. The world of oil tycoons and business leaves Meg in a constant state of anxiety. When she tries, and fails, to close her father's horse farm, she unwitting;y stumbles on the antidote for her anxiety troubles- a man she;d intended to fire. Bo Porter is the picture perfect cowboy, with his all American family, military background, and love of horses. His faith in God and easy manner leave Meg with a sense of peace in her topsy turvy world. When Meg has the chance to help a single mother in need, she also exposes herself to the man who caused her anxiety in the first place. The characters in this story were interesting, and Meg's spiritual journey was something others can relate too. I felt like the story could have had a bit more to it though. Still, Undeniably Yours is a nice read. Two thumbs up! On October 12th, 1977, a young lawyer and a Cambodian refuge both notice the flash of silver in the sky, the reflection off a private plane bringing Bingham Murdock into town. Little do Amalise and young Luke realize that Bingham will be the one to tie their lives together, changing lives forever. I haven't read any of Pamela Binnings Ewen's previous books, but I plan to remedy that after finishing this one! The details were rich and yet straight forward, the story beautifully written and the characters amazingly real. I found out after I was well into this story that there is a previous novel about Amalise, Dancing on Glass, which made sense since it felt like there was more to her story then this book was giving. The fact that there is another book about her does not keep one from enjoying this story though! There are just enough details in this one to let you know what happened before, without giving away the end of the previous novel. I loved the history in this story, since Amalise is one of the first women lawyers in the firm she works for. The Vietnam war and Shadow children are also a big part of the story. But at the center is a beautiful story of how God can take less than desirable circumstances and turn them into something that shows His glory. Errol Stone little realizes just how much his sorry life will be changed when a church messenger stumbles into town with a message for a hermit and Errol agrees to make a short journey to earn money to fuel his addiction to ale. Soon, it becomes clear to him that all is not as it seems, from the village hermit and his supposed servant to the owner of the inn that Errol frequents. 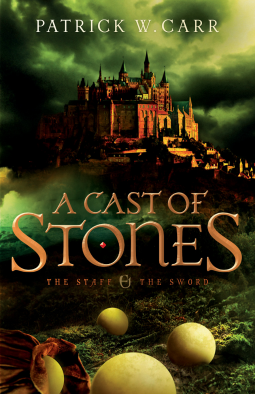 Hunted by deadly assassins, the motley crew sets out on a journey to the countries palace to cast stones in order to discover who the next king will be. When I first started this book, I wasn't sure what to think about it. Then, I got into the story and it just blew me away! The story is engrossing and epic as Errol pulls himself out of the ale barrel and embraces the young man he was created to be. I can't wait to read the next book in the series! Prepare to be swept away with this series! 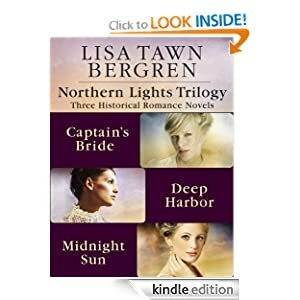 The Northern Lights trilogy is the interwoven stories of several different Norwegian immigrants/families who come over to America to make a better way for themselves. The Captains Bride introduces the reader to Elsa and Peder Ramstad, who leave Norway with Elsa's sister, Tora, a young woman named Kaatje Jansen, and Karl Martensen. Deep Harbor continues the story, focusing more on Tora and how her selfish choices might cost her everything she holds dear. It also continues Kaatje's story as she struggles to make a go of life in America for her and her two girls. Midnight Sun focuses on Kaatje Jansen's story, as she seeks to figure out what happened to her missing husband. I was super excited when So Shines the Night came up for review on Booksneeze.com, since Tracey Higley is one of my favorite authors! 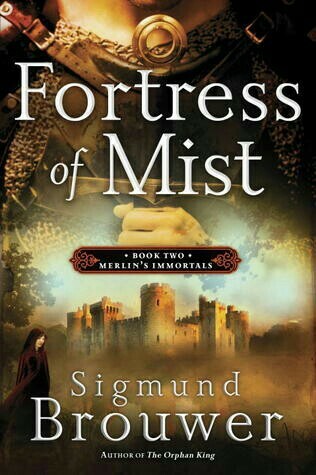 This novel did not disappoint, with its rich historical details and early Christian church background. Daria is a young widow who has made a way for herself through tutoring on the island of Rhodes in AD 57. When her life is threatened through an attempt to do the right thing, she takes a leap to start anew in Ephesus, tutoring the young merchant who helped save her life. But, things are no different in Ephesus, a city controlled by sorcery and overshadowed by the temple of Artemis. Can Daria find a path of light through the group of Christians known as The Way? Can she hope to make a difference in a world filled with darkness? As a general rule, I am not usually a fan of Biblical fiction, but I love this series! The story flows nicely and the characters become like best friends by the last page. I also liked that much of the story is based on several chapters from Acts.